Auditorium - Sito Ufficiale del Gonfalone! 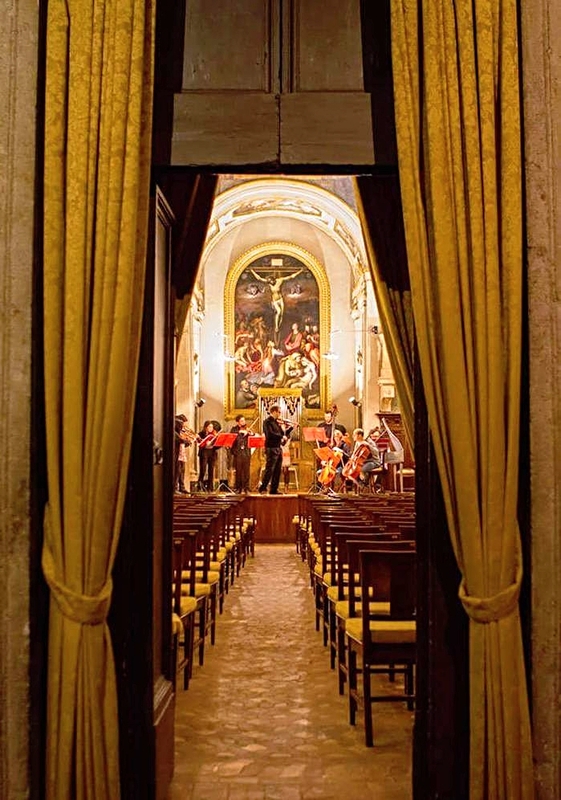 Many, in Rome and elsewhere, know the Oratorio del Gonfalone, which is one of the most striking architectural and pictorial complexes of the second half of the sixteenth century. 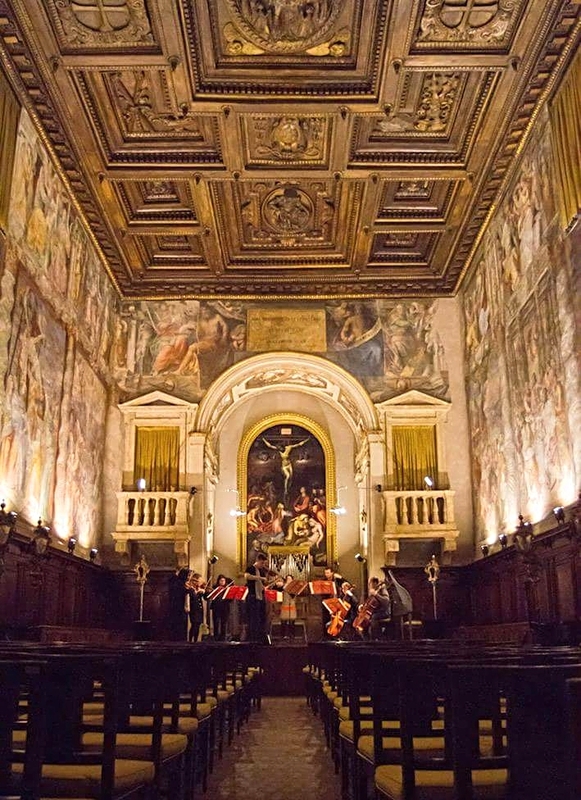 In the oratory, a refined concert season has been organized for many years, in the name of an art without boundaries. 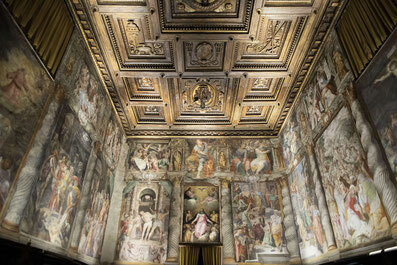 The cycle, which completely decorates the walls of the Oratorio del Gonfalone, depicts in twelve episodes the Passion of Christ: it begins with the entry into Jerusalem, continues with the last Supper, the Prayer in the Garden, the Capture of Christ, Christ before Caiaphas, the Flagellation, the Crowning of thorns, the Ecce Homo, the Ascent to Calvary, the Crucifixion and concludes with the Resurrection. The scenes are framed by an architectural frame formed by spiral columns inspired by the vitinee columns of the ancient Basilica of San Pietro, which came, according to an ancient legend, from the Temple of Solomon. 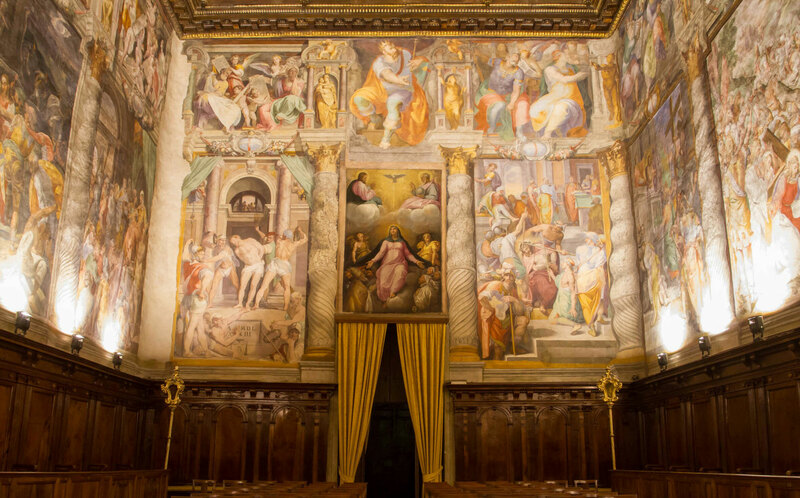 Above each episode are depicted a Prophet and a Sybil, subdivided by an architectural aedicule, which contains an allegorical figure painted in monochrome. 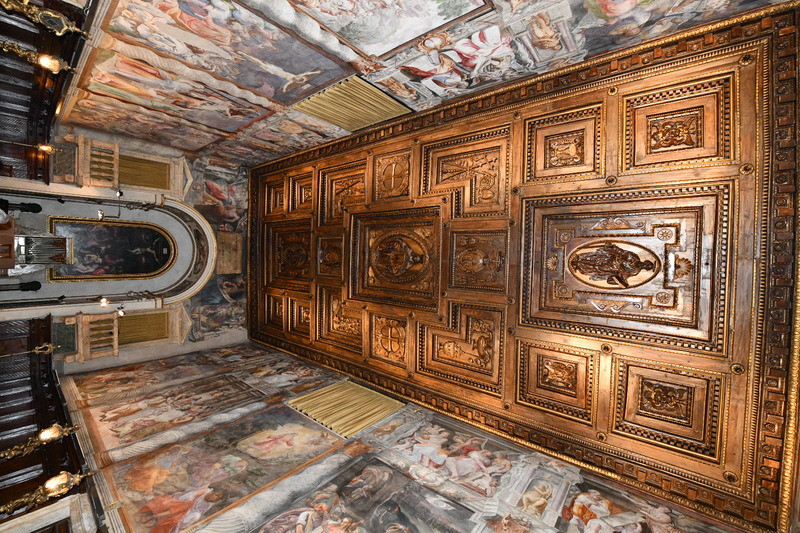 The cycle was performed between the years 1569 and 1576, when he was cardinal protector of the Oratory Alessandro Farnese, whose coat of arms is on the wooden ceiling carved by Ambrogio Bonazzini, one of the greatest specialists of the time, is an example of rare and valuable quality. 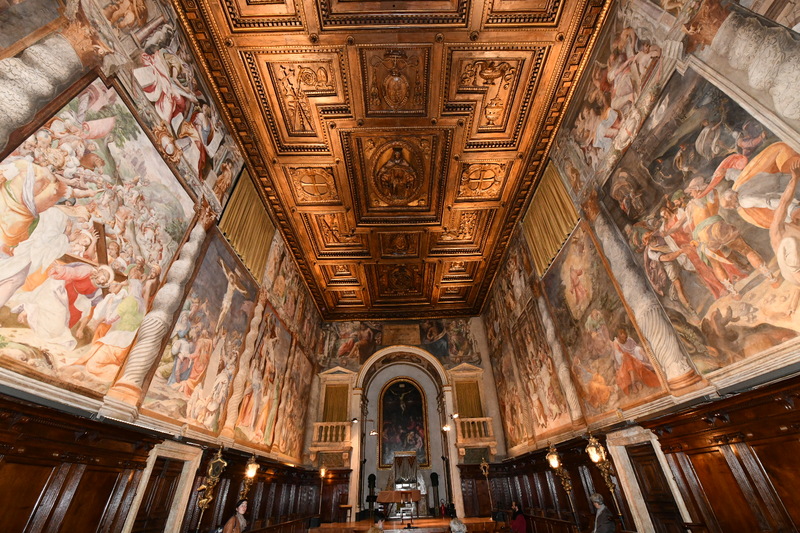 It is probable that the task of the entire work was entrusted to Jacopo Bertoja, a Parma painter who arrived in Rome in 1568. 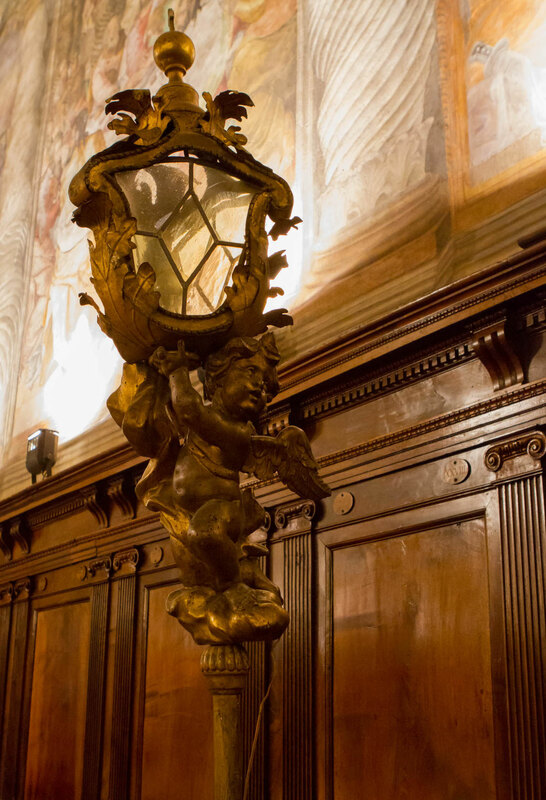 However, the artist was called shortly after by Cardinal Farnese in Caprarola: so began the rotation of many artists such as Livio Agresti , Raffaellino from Reggio, Federico Zuccari, Cesare Nebbia, Marcantonio from the oven and Marco Pino.